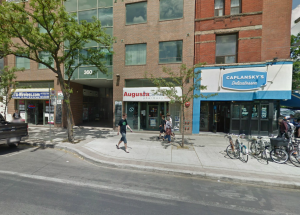 Based on Valerie Ma’s information and verified using records from the Toronto Archives, Gum Chong moved into 385 College Street in 1899 and established a laundromat. Prior to this, the lot varied between an empty space and a church. 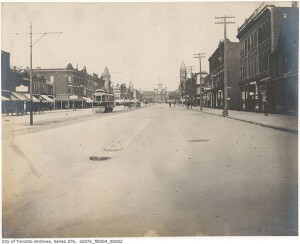 According to the City of Toronto Assessment files from 1901, Chong was still occupying the space a few years later with four other residents. It can be assumed that these residents were at the least, over the age of 18 as none of these residents were listed as children. Unfortunately, Gum Chong and his laundromat only lasted a few years. By 1913, the building was then occupied by jeweler F.A. Ellis. 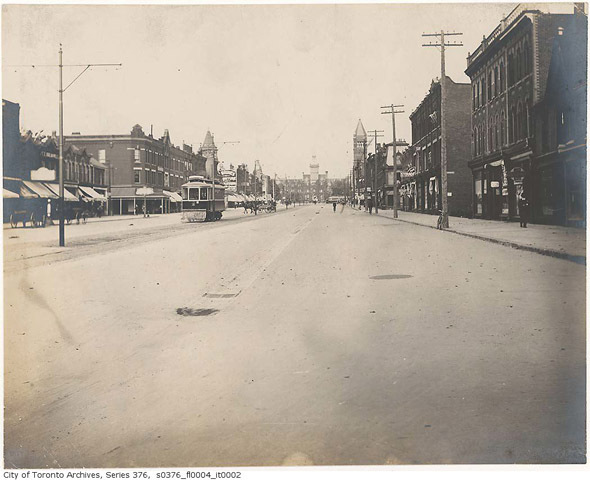 This picture was taken on Spadina facing north to College, c. 1890s. This is the building as it stands today, 2014. 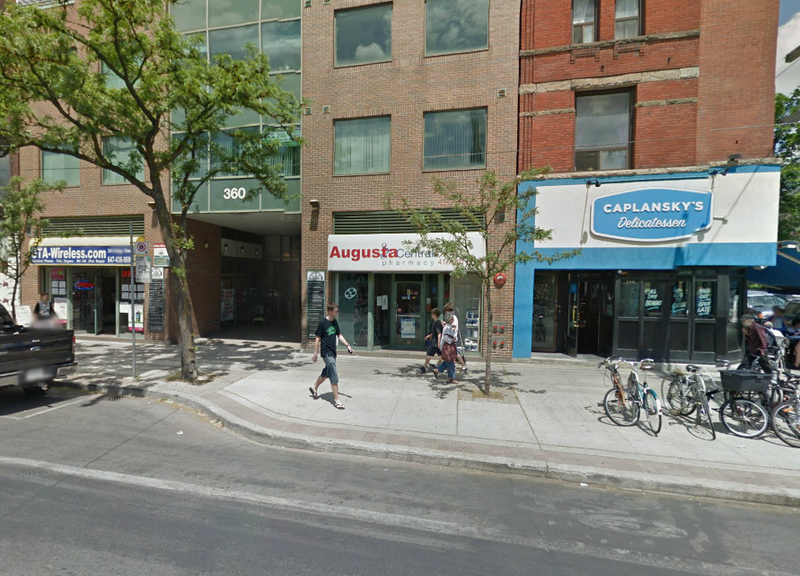 It is now a commercial and office space located in the now Kensington Market neighbourhood. Information and Sources taken from City of Toronto. Tax Assessment Rolls. Ward 4 Division 3 (1901). City of Toronto. Directories (1895-1899, 1901). Mah, Valerie. The Bachelor Society: A Look at Toronto’s Early Chinese Community from 1878-1924. MA Thesis. 1978. Print.